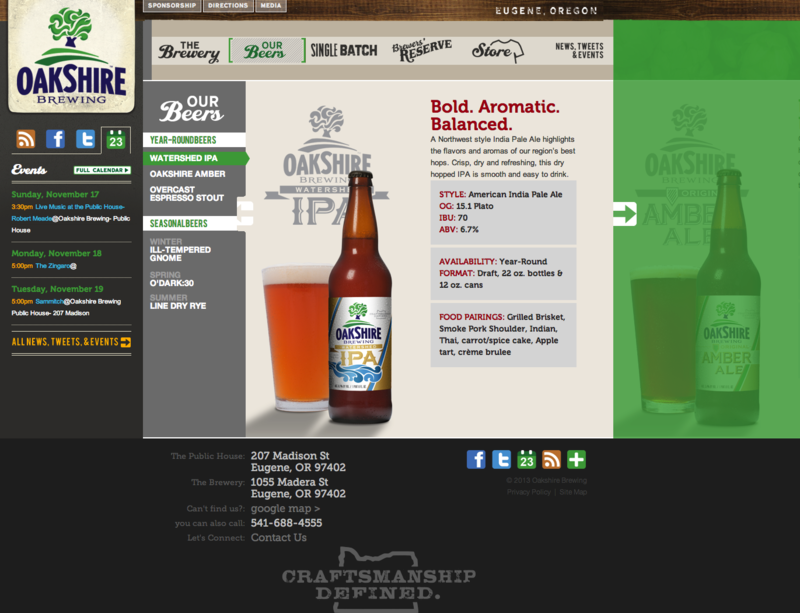 Oakshire Brewing needed a professional website for their growing craft beer business. 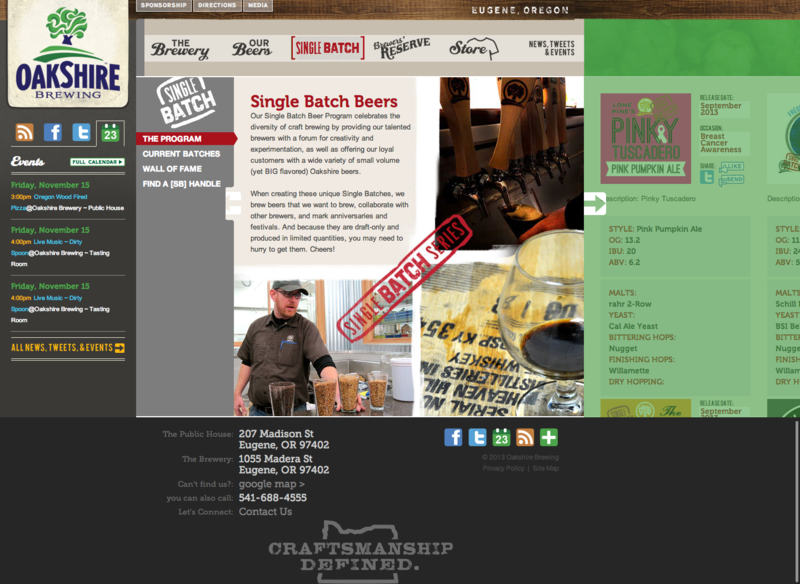 They selected Bravo Web to implement a content management system to meet their needs for changing beers, staff, single batches, staffing positions and blog posts. The original site was built in Wordpress and had dozens of blog postings which were seamlessly imported. 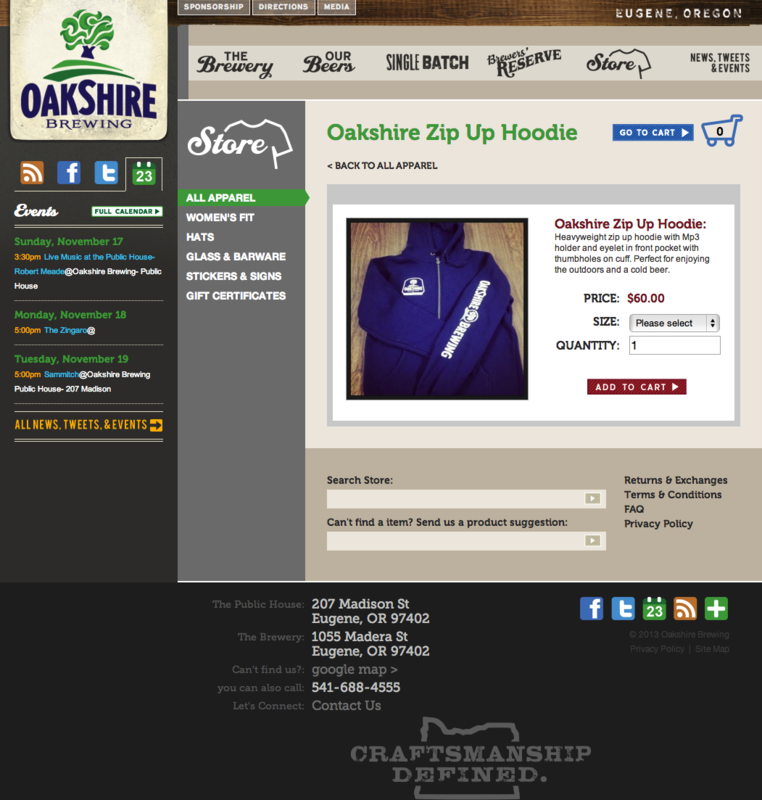 The site also meets compliance requirements for selling merchandise online. 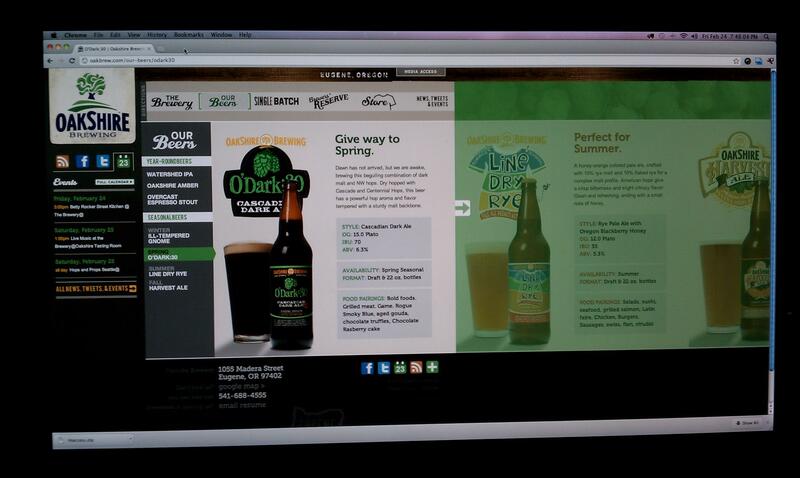 If you need a brewery web design, e-commerce or other web development for your food or beverage company contact us for a quote.